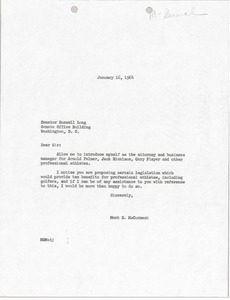 McCormack introduces himself to Senator Long as the attorney and business manager for Arnold Palmer, Jack Nicklaus, Gary Player and other professional athletes. 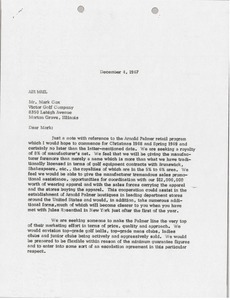 McCormack noticed that Long is proposing legislation which would provide tax benefits for professional athletes, and offices his assistance in this matter. 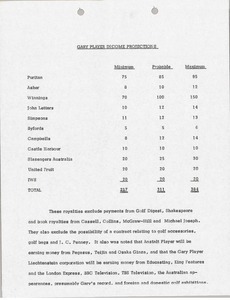 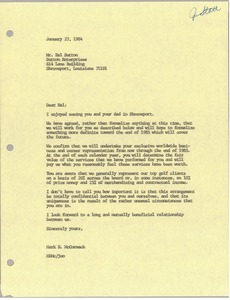 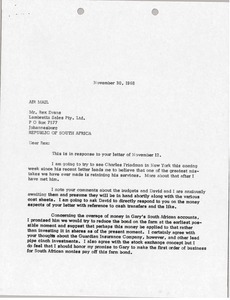 McCormack informs Carpenter that he will need updated net-worth statements for Jack Nicklaus and Arnold Palmer by January 15, 1970. 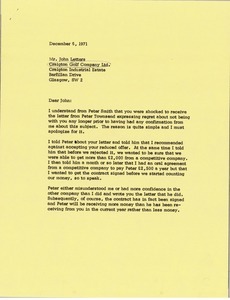 Concerning a confidential arrangement in which IMG will represent Sutton and Sutton will pay IMG what he feels their services are worth at the end of the year. 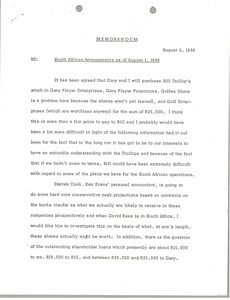 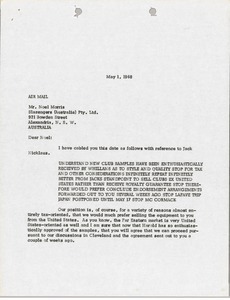 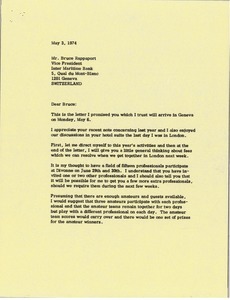 McCormack writes John Letters of Craigton Golf Company regarding a letter Peter Townsend sent Letters about ending his association with them. 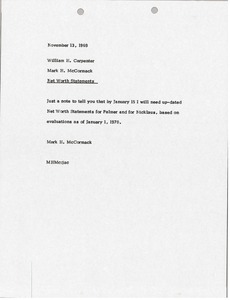 McCormack notes that he heard from Peter Smith that Letters was shocked to received this and explains the financial reasoning behind this decision.